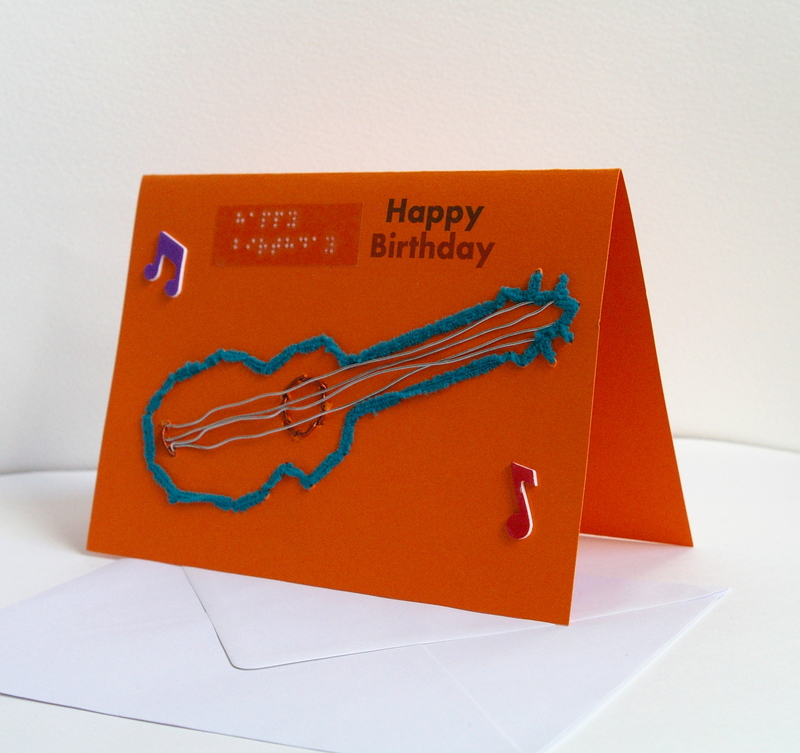 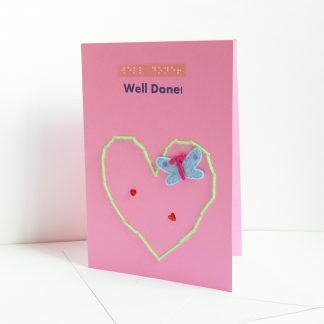 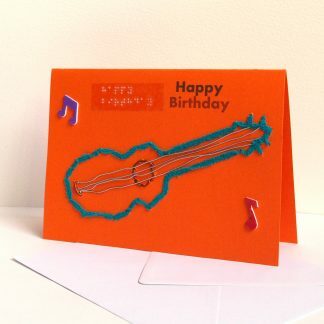 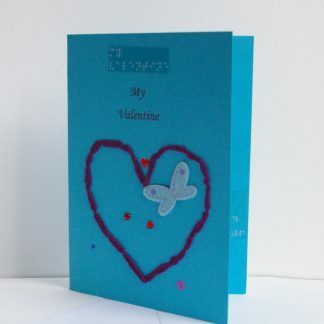 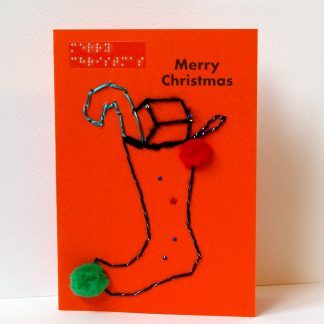 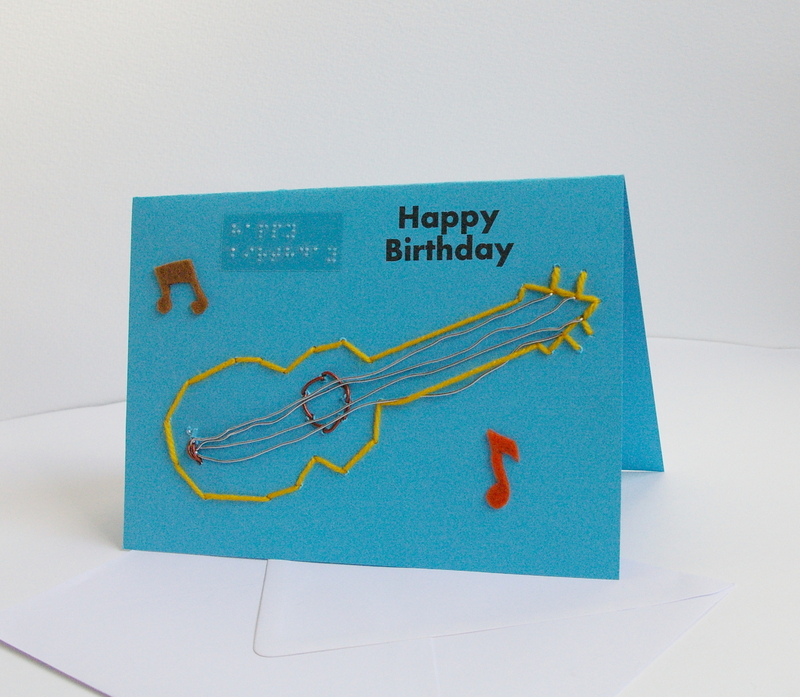 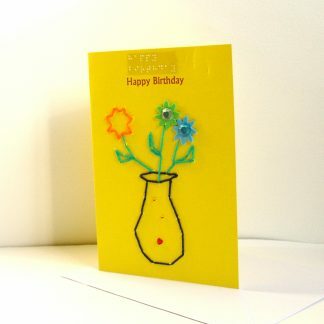 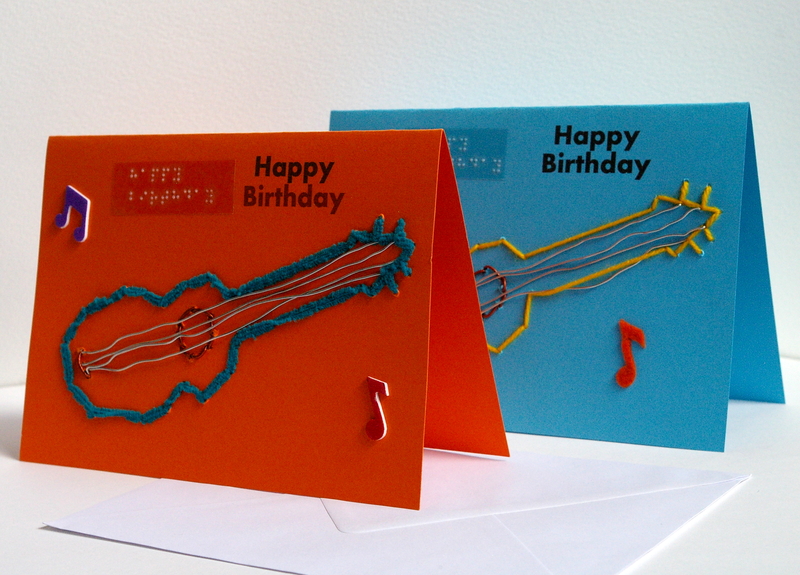 Hand crafted tactile scented greetings card with musical notes. 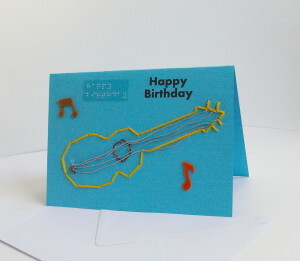 Front image is a guitar, drawn with a variety of different textured wools/yarns, wire for strings and leather thread. 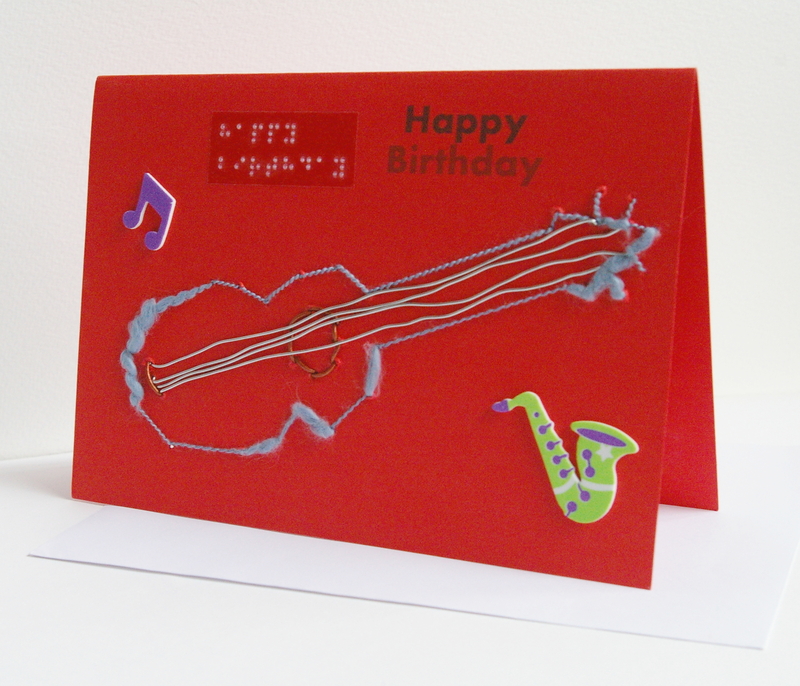 Musical notes are made from felt – text inside reads Wishing you all the best on your Birthday – cards have Braille and large text. 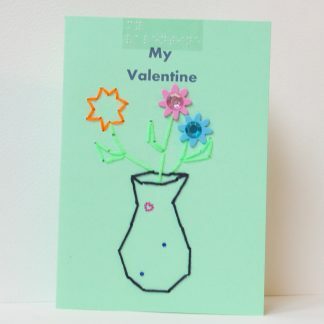 (All cards will vary in colour – having been hand crafted with a selection of different coloured card and art materials).